I appreciate your posting scans whenever they pop up, but I truly don't really understand why it's sometimes these weirdly resized versions. There are much higher quality pictures available. In any case, I feel like every new Another Rider is better than the last. I really like the rest, OOO in particular, but Another Gaim may be the first to really make me feel like I need a figure of it. It looks great. 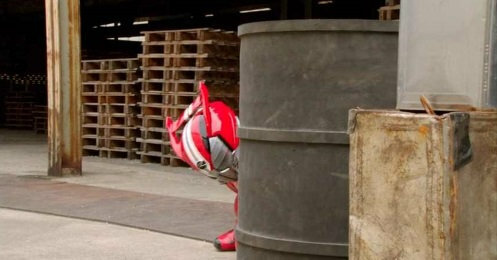 Also glad that I was right after all about the Gaim Armor forming a giant head, albeit they did make it pretty obvious. So I guess Geiz just decided to become Zi-O 2? Thing that intrigues me most about all this is how the hell Build exists in the movie. Shame we won't know till like, May. I'm guessing there will be a point in which Zi-O needs his past self's help to beat another Gaim? The time majin upgrades look sweet. Hope they do miniplas of them. They had to do the crossing his own timeline thing sooner or later. That's been obvious since Gaim itself did that to other riders. So the same had to be done back to him. Brings his "Legend forms" back full circle. Last edited by Librarian; 10-29-2018 at 07:20 AM.. So we got to wait 2 weeks to see if they actually have guests for the Gaim episodes? That happened during Gaim itself though, with Fifteen back in Kamen Rider Taisen. Oh, and the Time Majin upgrade vehicles for now are Time Jacker things. Whether that carries over to Zi-O and Geiz later is unknown though. For now at least, Zi-O gets Rider specific upgrades to his, while the Time Jackers get the vehicles. Your point? All that does is show exactly why it's obvious like he said. *Edit* With the way Lockseeds work, and how Zi-O/Geiz and their ride armors work, it was the only option for Gaim. The Ride Armors are instilled concepts of their riders. Like how Ghost is the Eyecon Ghost hoodie. Or Fourze is the rocket. So things with a more visual physical device aspect or influence will likely lean into that for the Ride Armor. Not sure why I have to explain something so obvious. Which for Gaim is the lockseeds and how they drop over the head. Which means the only option for him is a giant double lockseed head. Yeah. They want to keep more as surprises now. Better audience reactions that way. Thing that intrigues me most about all this is how the hell Build exists in the movie. Shame we won't know till like, May. Scan 11 might answer that. Looks like it has to do with the Build Ride Watch itself. Last edited by Librarian; 10-29-2018 at 07:52 PM.. Pretty sure that's just recapping episode 2. Yeah, haven't we already seen Uhr's Captain Ghost Majin? Hopefully they use the Time Majin updates more. The Machine Decader could turn into other bikes but only did it, like, twice.